No experience, no plan and not much time. 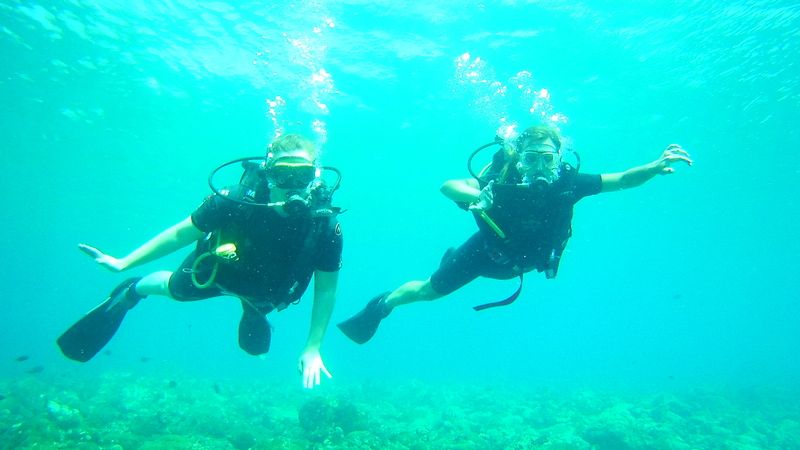 Facing these aspects my friend and I, just arrived to Bali, want to try out DIVING for the first time in our lives. 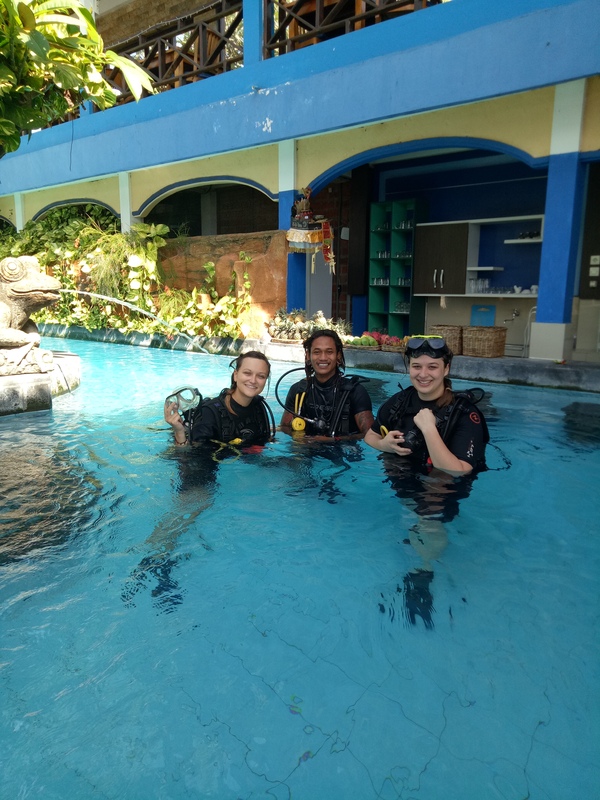 After spending a couple of days in Ubud and doing some research we found the Mahatari Resort & Dive center in Tulamben. This area is famous for the best diving in Bali because of the coral reef with so many different and big fish. An old 50-meter-long ship wreck underwater makes turns the diving into an adventurous trip. The good thing if you stay in Mahatari is that you can see the “Suci Place”, underwater temple statues created by the hotel and just next to the shore. I really wanted to see this unique project because it looks a bit like the forgotten Atlantis. How much did we pay? They made us a good offer including two nights in the resort (standard room with AC, breakfast and own bathroom) with pool and own restaurant right next to the ocean for 560.000 (38 €) plus a special offer for the Introductory SCUBA diving (incl. 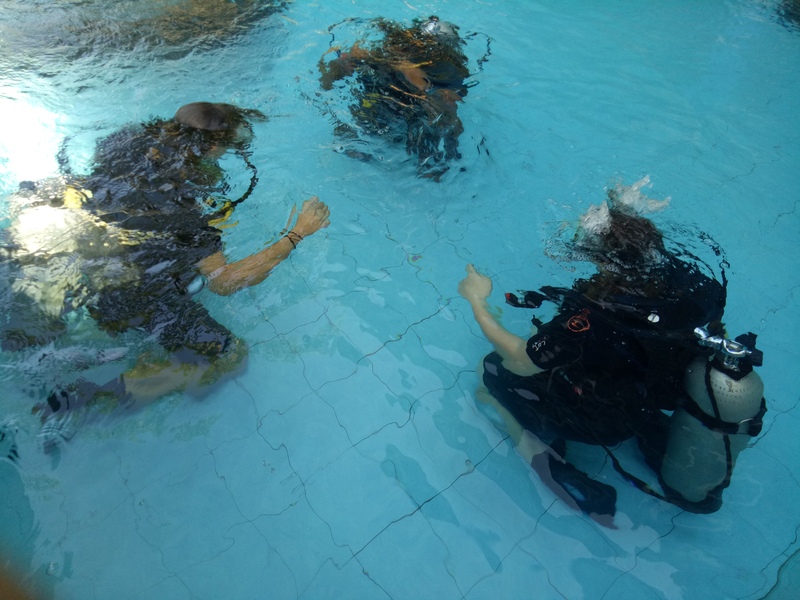 one pool session and two dives) for 800.000 IDR (55 €), normally 1.200.000 IDR (70€). AMAZING! Actually I cannot describe the feeling, you kind of feel so powerful because you can swim anywhere and not just stay at the surface like with snorkelling. I have never seen so many different, colourful and especially big fish in one place before. And then we had the temple statues and the ship wreck as well. The statues were really cool and looked like old Hinduism style. But even more breathtaking was the ship wreck where the wall just went 30 meters down after I swam over the first part of the old boat housing. On this side were so many corals and growing plants with all kind of fish around. Some other divers around us made me feel like a professional. But I was far away from this thought in reality. I had problems with the pressure of the water depth and my ears hurt inside. I tried to balance the pressure by pressing air and holding my nose at the same time but it only helped sometimes. Our diving guide Kliyuk helped me as much as he could, gave me all the advices we trained before and took lots of care for both of us. At the end of the second dive (around 40 minutes) I felt that I have to go out of the water because I could no longer stand the pain. I really wanted to dive more but my body said no. Unless the entire struggle the dive was one of the most amazing things I have done on my world trip. I am thankful that my friend did this with me together and that our wonderful guide was always there to help us. With the first session in the pool and the attentive guidance make anxious people like me feel safe. How was the resort and town? The Mahatari resort was wonderful – a great place to relax from all the water activities around there. The facilities are very clean and there is a little garden with hammocks and loungers to chill out. The resort is facing the ocean with the restaurant and pool next to the shore and gives you all you need for your stay in Tulamben. 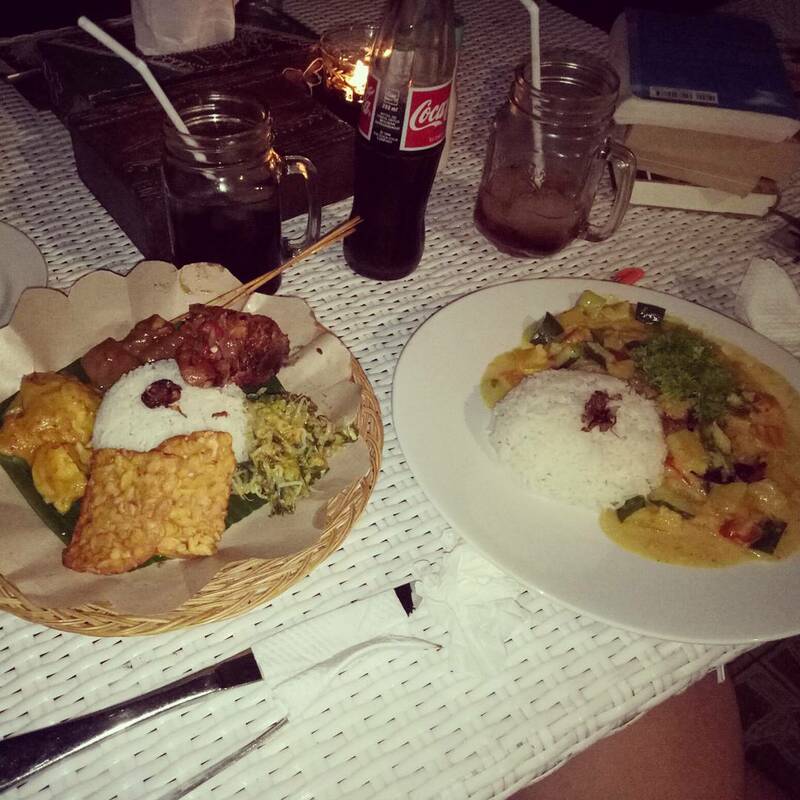 The food with different snack, breakfast, lunch and dinner offers from western to local Balinese dishes is very delicious as well. There are handful restaurants in town but if you are looking for more nightlife you have to drive half an hour to the backpacker destination “Amed”. In Tulamben you can only find a few other resorts, some shops and an ATM. The city itself is not as adventurous and big as the marine life which is waiting for you underwater. Try it out, too!